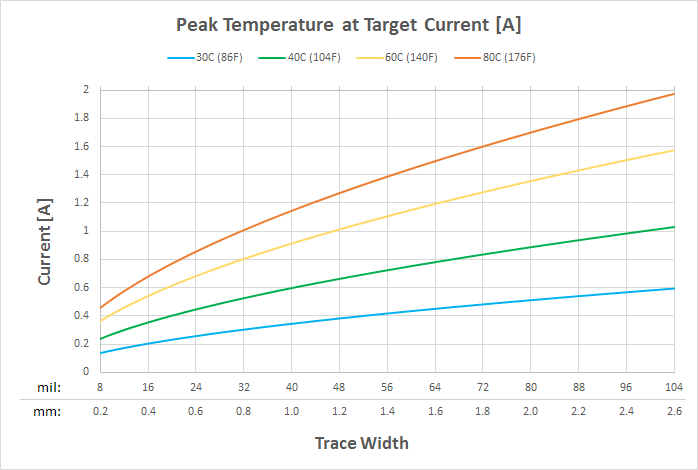 Just trying to calculate trace width for a board. What is the thickness of the traces once they are printed? Is there a comparable copper thickness like 1oz or 2oz? Using the standard print settings, the cured traces are between 70-80 um thick (0.07-0.08 mm), with a sheet resistance of 12 mOhm. 1oz of copper is about 1.4 mils (~35 um) thick, with sheet resistance of 0.5 mOhm. 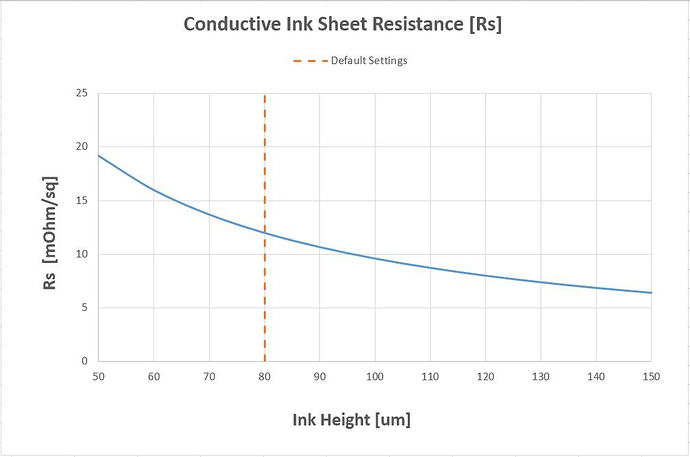 If you check out our user guide on circuit design suggestions, we have two charts which may help you determine how much ink you should lay down for your application - I've included them below. 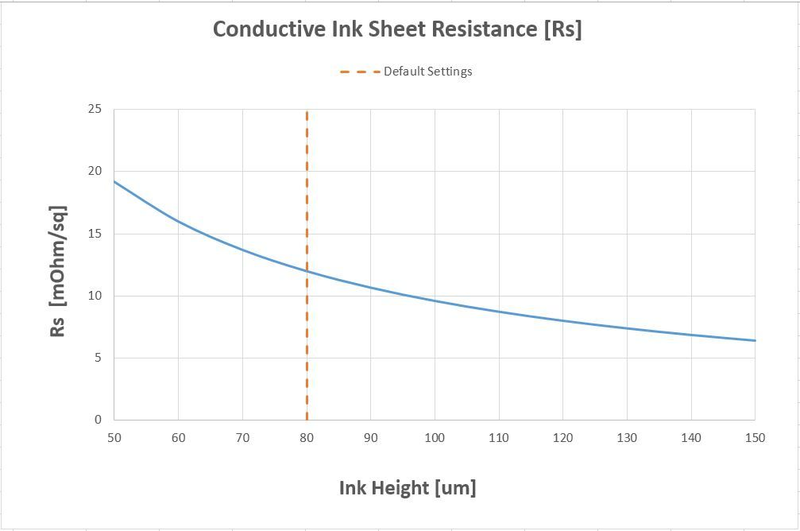 If you are trying to use the conductive ink for higher current applications, you can try to tin your traces with solder. I'd recommend checking out our hand soldering guide for tips on tinning your pads / traces. Awesome, thanks for the explanation! This should work out nicely.